Leah's Crafty Life: Lets go fly a kite, erm, or ride a bike!! Good Thursday to you friends! 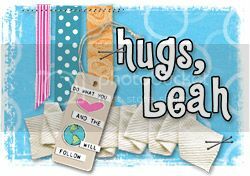 I wanted to remind you that Clear Scraps & Stampendous are having a blog hop all this week. I am up on the Clear Scraps blog today too, so I would love if one of you guys were able to win one of the prizes being offered this week, go check it out! 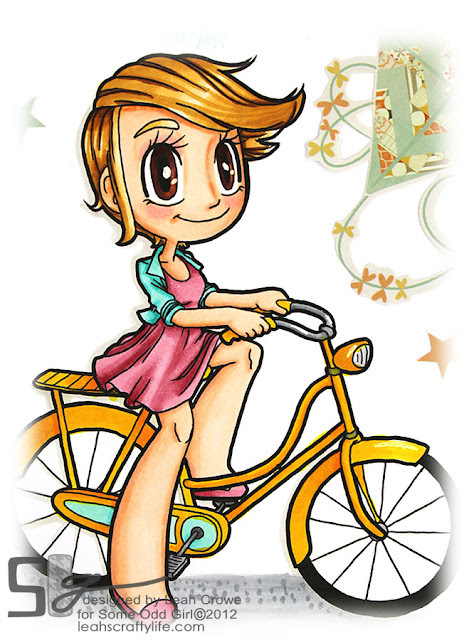 Now, are you ready to let the wind fly through your hair, and squeal with delight as you zoom down the road in your shiny new bicycle? I know Kaylee is though! I love her to pieces!! Head on over to the Some Odd Girl blog to see what our ODDies made with this super fab new Bicycle Kaylee! She is so darn cute! You did a fantastic job with her! Kind of makes me want to ride a bike.....kind of. Love love love this! LOVING those colors, and loveeeeeee the kite!!! Leah she is stunning! I LOVE your colouring..beautiful depth and shading :) Super cute! I love this card Leah! What a fabulous yellow bicycle! 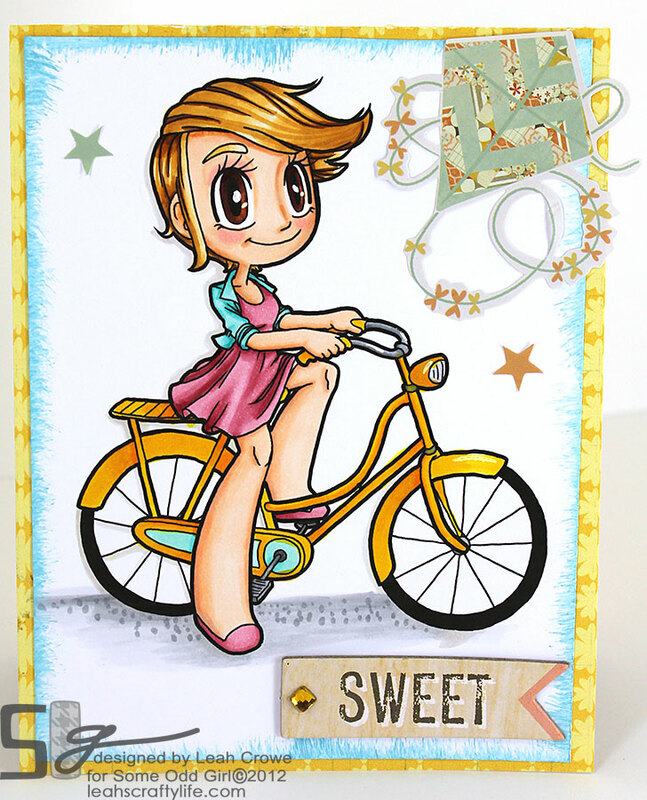 Gorgeous card - love Kaylees yellow bicycle, the added shine with the white is just genius! !